Q: Since your first film Angel Town (1990) you have worked on a lot of action films like Brotherhood of the Wolf (2001), Cradle 2 the Grave (2003), I Am Omega (2007). How do you choose your projects? 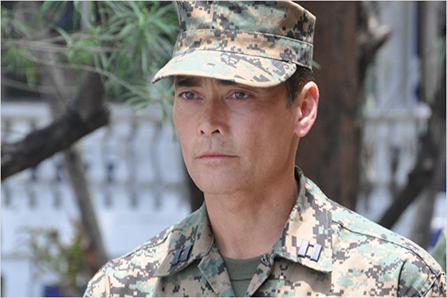 Mark Dacascos : I base my choice of projects by the material and the director. What is the story and does it touch me? Am I interested in it and does it make me feel and think? And could I help tell that story in a meaningful way? The story is the key for me. Q: Recently you played Mr. Giyera on Agents of S.H.I.E.L.D. series. What can you say about this character and what was your best memory during the production of this show? 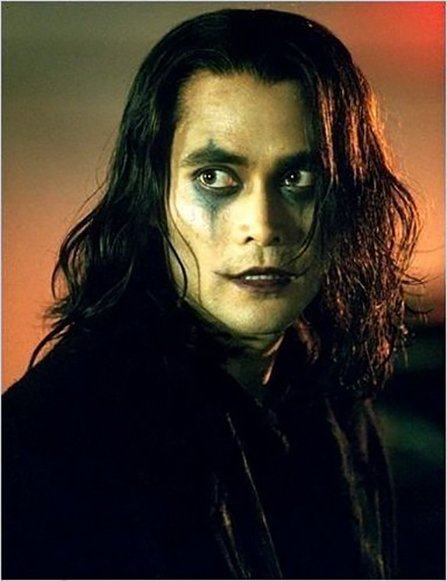 Mark Dacascos: I had a fun time playing Mr. Giyera. He had a code of ethics and believed he was sacrificing his life for the greater good. And of course, in Mr. Giyera’s mind, Hydra was the the side of good. Best memory of working on the show? Besides the obvious talent of the cast and crew, the humility, gratitude, and professionalism everyone exuded was something that impressed me and inspired me everyday I was on set. Q: What for you is the main difference between working on a film versus a tv series? What do you consider to be the advantages and disadvantages of each type of production? 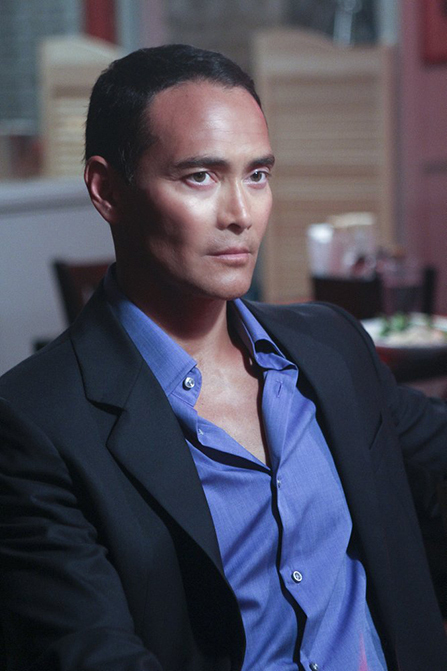 Mark Dacascos : Working on a tv series has, in general, a much faster pace than a movie. An hour episode is usually shot in just a week to 10 days. The advantage of a tv show is that the actor has hours of episodes to investigate and explore their character. The disadvantage is that episodes usually shoot back to back, so the actor must learn the text very quickly and work with very little rehearsal. Feature films usually have the big advantage of time, which allows the actor to prepare. It usually makes a big and positive difference. Q: What in your mind makes a good action film? Which elements should be present to assure that happens? Mark Dacascos: In my opinion, it takes a compelling story, interesting characters, and inspired action to make a great action movie. The Bourne Identity, Skyfall, Enter the Dragon, Braveheart, Taken, those are some of my favorite action movies. Q: Which of the films you have worked on do you consider to be the most important in your career, and why? 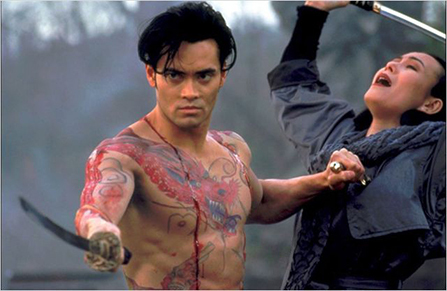 Mark Dacascos: Only the Strong, directed by Sheldon Lettich, was my first movie as the lead. It's still one of my favorite films for the Capoeira and the message. Capoeira is a beautiful and lethal Martial Art, and like all Martial Arts, it’s supposed to enhance your life and help you become a better person by teaching you discipline, respect, and awareness. I love the fact that the training in Capoeira helped the young men in our story get a grasp on their lives. The film also introduced Capoeira to a lot of people, and I am happy to say that I am preparing for another film with Capoeira. It’s not a sequel, but an original story where I will play the father of the lead character. Crying Freeman, directed by Christophe Gans, was the movie I met my wife on. She, Julie Condra, played the role of Emu O’Hara, the female lead. So, I need to thank Christophe and that movie for my wonderful wife and our 3 children. Merci beaucoup, Christophe. My character of Mani in Le Pacte des Loups, directed by Christophe Gans, is the character I most want to be like. He is honest and aware, respectful and intuitive, and he trusts his instincts. I loved playing Mani. I loved filming in France. I thought we had an amazing cast and crew. That film was truly one of the highlights in my career. All three of those movies were produced by my friend, French producer, Samuel Hadida. Thank you, Sammy! Q: You are on the member of the jury of the Paris Art & Movie Awards. Which short movies are your favorites and what do you like in this form of media (short films) ? Mark Dacascos: l appreciate the intimacy of the short film format. I respect the challenge it offers in getting to the core of the story and the heart of the characters in a short amount of time. Q: With which directors would you like to work with, and why? Mark Dacascos: Luc Besson, Alejandro G. Inarritu, Cameron Crowe, Pedro Almodovar…because they deeply and honestly investigate the workings of the human heart and mind…they are profound… exciting… I like their movies. Q: What are your current project(s)? Mark Dacascos: Mestre Amen Santo, from Only the Strong, and I, are working on putting our next Capoeira movie together. We’ll both be playing supporting roles in the movie, we’re both producing, Mestre Amen will be in charge of all things Capoeira, and I will direct. Q: What kind of advice could you give to someone who would like to work as an actor ? 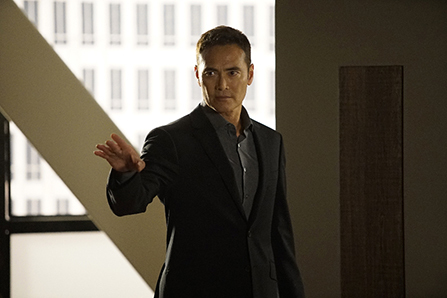 Mark Dacascos: I don’t feel comfortable giving blanket advice, but I will tell you what I do. If I’m not working on a show then I’m taking classes with my acting teachers; Larry Moss, Patsy Rodenburg, and Gary Austin. I want to progress as an actor and to do that I need to constantly learn, and practice, and perform. It’s a never ending process. Big thanks to Mark Dacascos to have answered to our e-questions and to the Paris Art & Movie Awards team for this great interview..